72. B. Zhang, J. L. Banal, D. J. Jones, B. Z. Tang, K. P. Ghiggino and W. W. H. Wong*, 'Aggregation-induced emission-mediated spectral downconversion in luminescent solar concentrators' Mater. Chem. Front., 2018, 2, 615-619. DOI 10.1039/C7QM00598A. 71. Y. Wang, H. Yao, J. Zhou, Y. Hong, B. Chen, B. Zhang, T. A. Smith, W. W. H. Wong and Z. Zhao, 'A water-soluble, AIE-active polyelectrolyte for conventional and fluorescence lifetime imaging of mouse neuroblastoma neuro-2A cells' J. Polym. Sci., Part A: Polym. Chem., 2018, 56, 672-680. DOI 10.1002/pola.28943. 70. B. Zhang, H. Soleimaninejad, D. J. Jones, J. M. White, K. P. Ghiggino, T. A. Smith, W. W. H. Wong*, 'Highly Fluorescent Molecularly Insulated Perylene Diimides: Effect of Concentration on Photophysical Properties.'Chem. Mater. 2017, 29, 8395-8403. DOI 10.1021/acs.chemmater.7b02968. 69. J. Xu, B. Zhang, M. Jansen, L. Goerigk, W. W. H. Wong, C. Ritchie, ‘Highly Fluorescent Pyridinium Betaines for Light Harvesting’ Angew. Chem. Int. Ed. 2017, 56, 13882–13886. DOI: 10.1002/anie.201704832. 68. R. Rautela, N. K. Joshi, S. Novakovic, W. W. H. Wong, J. M. White, K. P. Ghiggino, M. F. Paige, R. P. Steer, ‘Determinants of the Efficiency of Photon Upconversion by Triplet-Triplet Annihilation in the Solid State: Zinc Porphyrin Derivatives in PVA’ Phys. Chem. Chem. Phys. 2017, 19, 23471-23482. DOI: 10.1039/C7CP04746K. 67. 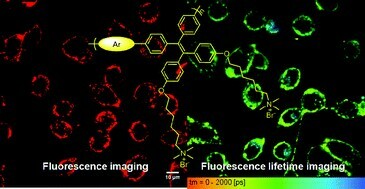 M. Gao, Y. Hong, B. Chen, Y. Wang, W. Zhou, W. W. H. Wong, J. Zhou, T. A. Smith, Z. Zhao, ‘AIE Conjugated Polyelectrolytes based on Tetraphenylethene for Efficient Fluorescence Imaging and Lifetime Imaging of Living Cells’ Polym. Chem. 2017, 8, 3862-3866. DOI: 10.1039/C1037PY00564D. 66. J. Subbiah, V. D. Mitchell, N. K. C. Hui, D. J. Jones, W. W. H. Wong,* ‘A Green Route to Conjugated Polyelectrolyte Interlayers for High Performance Solar Cells’ Angew. Chem. Int. Ed. 2017, DOI: 10.1002/anie.201612021. 65. J. L. Banal, B. Zhang, D. J. Jones, K. P. Ghiggino, W. W. H. Wong,* ‘Emissive Molecular Aggregates and Energy Migration in Luminescent Solar Concentrators’ Acc. Chem. Res. 2017, 50, 49-57. DOI: 10.1021/acs.accounts.6b00432. 64. V. D. Mitchell, W. W. H. Wong, M. Thelakkat, D. J. Jones, ‘The Synthesis and Purification of Amphiphilic Conjugated Donor-Acceptor Block Copolymers’ Polym. J. 2017, 49, 155-161. DOI:10.1038/pj.2016.97. 63. P. B. Geraghty, C. Lee, J. Subbiah, W. W. H. Wong, J. L. Banal, M. A. Jameel, T. Smith, D. J. Jones, ‘High Performance p-type Molecular Electron Donors for OPV Applications via alkylthiophene catenation chromophore extension’ Beilstein J. Org. Chem. 2016, 12, 2298–2314. DOI: 10.3762/bjoc.12.223. 62. W. Zajaczkowski, T. Marszalek, W. W. H. Wong, W. Pisula, ‘Morphology Changes in Bulk Donor-Acceptor Poly(Benzodithiophene-Benzotriazole) after Post-Treatment’ J. Polym. Sci. B Polym. Phys. 2016, 54, 2327-2334. DOI: 10.1002/polb.24143. 61. J. L. Banal, H. Soleimaninejad, F. M. Jradi, M. Liu, J. M. White, A. W. Blakers, M. W. Cooper, D. J. Jones, K. P. Ghiggino, S. R. Marder, T. A. Smith, W. W. H. Wong,* ‘Energy Migration in Organic Solar Concentrators with a Molecularly Insulated Perylene Diimide’ J. Phys. Chem. C 2016, 120, 12952-12958. DOI: 10.1021/acs.jpcc.1026b04479. 58. W. W. H. Wong, S. Rudd, K. Ostrikov, M. Ramiasa-MacGregor, J. Subbiah, K. Vasilev, ‘Plasma Deposition of Organic Polymer Films for Solar Cell Applications’ Org. Electron. 2016, 32, 78-82. DOI:10.1016/j.orgel.2016.02.023. 57. J. M. Ren, J. Subbiah, B. Zhang, K. Ishitake, K. Satoh, M. Kamigaito, G. G. Qiao, E. H. H. Wong, W. W. H. Wong,* ‘Fullerene Peapod Nanoparticle as an Organic Semiconductor-electrode Interface Layer’ Chem. Commun. 2016, 52, 3356-3359. DOI: 10.1039/c5cc10444k. 56. D. van As, J. Subbiah, D. J. Jones, W. W. H. Wong,* ‘Controlled Synthesis of Well-defined Semiconducting Brush Polymers’ Macromol. Chem. Phys. 2016, 217, 403-413. DOI: 10.1002/macp.201500213. 55. B. Zhang, J. M. White, D. J. Jones, W. W. H. Wong,* ‘Regioselective Synthesis of Fullerene Multiadducts via Tether-directed 1,3-Dipolar Cycloaddition’ Org. Biomol. Chem. 2015, 13, 10505-10510. DOI: 10.1039/c5ob01630d. 54. M. Gruber, S.-H. Jung, S. Schott, D. Venkateshvaran, A. Kronemeijer, J. Wenzel Andreasen, C. McNeill, W. W. H. Wong, M. Shahid, M. Heeney, J.-K. Lee, H. Sirringhaus, ‘Enabling high-mobility, ambipolar charge-transport in a DPP-Benzotriazole copolymer by side chain engineering’ Chem. Sci. 2015, 6, 6949-6960. DOI: 10.1039/C5SC01326G. 53. J. L. Banal, J. M. White, T. W. Lam, A. W. Blakers, K. P. Ghiggino, W. W. H. Wong,* ‘A Transparent Planar Concentrator Using Aggregates ofgem-Pyrene Ethenes’ Adv. Energy Mater. 2015, DOI: 10.1002/aenm.201500818. 52. Y. Wang, M. F. G. Klein, J. Hiyoshi, S. Kawauchi, W. W. H. Wong, T. Michinobu, 'Bulk-Heterojunction Organic Solar Cells Based on Benzobisthiadiazole Semiconducting Polymers' J. Photopolym. Sci. Technol. 2015, 28, 385-391. DOI: 10.2494/photopolymer.28.385. 51. W. W. H. Wong,* J. L. Banal, P. B. Geraghty, Q. Hong, B. Zhang, A. B. Holmes, D. J. Jones, ‘Organic Photovoltaic Materials – Design, Synthesis and Scale-up’ Chem. Rec. 2015, 15, 1006-1020. DOI:10.1002/tcr.201500019. 50. B. Zhang, J. Subbiah, Y.-Y. Lai, J. M. White, D. J. Jones, W. W. H. Wong,* ‘One-pot Selective Synthesis of a Fullerene Bisadduct for Organic Solar Cell Applications’ Chem. Commun. 2015, 51, 9837-9840. DOI:10.1039/c5cc02701b. 49. F. Grenier, B. R. Aïch, Y.-Y. Lai, M. Guérette, A. B. Holmes, Y. Tao, W. W. H. Wong,* M. Leclerc, ‘Electroactive and Photoactive Poly[Isoindigo-alt-EDOT] Synthesized Using Direct (Hetero)Arylation Polymerization in Batch and in Continuous Flow’ Chem. Mater. 2015, 27, 2137-2143. DOI:10.1021/acs.chemmater.5b00083. 48. Z. Xiao, K. Sun, J. Subbiah, T. Qin, S. Lu, B. Purushothaman, D. J. Jones, A. B. Holmes, W. W. H. Wong,* ‘Effect of Molecular Weight on the Properties and Organic Solar Cell Performance of a Donor-Acceptor Conjugated Polymer’ Polym. Chem. 2015, 6, 2313-2318. DOI: 10.1039/c4py01631a. 47. D. Vak, J. van Embden, W. W. H. Wong, S. E. Watkins, ‘Optically Monitored Spray System for Controlled Deposition of Photoactive Layer in Organic Solar Cells’ Appl. Phys. Lett. 2015, 106, 033302. DOI: 10.1063/1.4906454. 46. K. Sun, Z. Xiao, S. Lu, W. Zajaczkowski, W. Pisula, E. Hanssen, J. M. White, R. M. Williamson, J. Subbiah, J. Ouyang, A. B. Holmes, W. W. H. Wong,* D. J. Jones, ‘A Molecular Nematic Liquid Crystalline Material for High-Performance Organic Photovoltaics’ Nat. Commun. 2015, 6, 6013. DOI: 10.1038/ncomms7013. 45. J. Subbiah, B. Purushothaman, M. Chen, T. Qin, M. Gao, D. Vak, F. H. Scholes, X. Chen, S. E. Watkins, G. J. Wilson, A. B. Holmes, W. W. H. Wong,* D. J. Jones, ‘Organic Solar Cell using a High Molecular Weight Benzodithiophene-Benzothiadiazole Copolymer with an Efficiency of 9.4%’Adv. Mater. 2015, 27, 702-705. DOI: 10.1002/adma.201403080. 44. J. L. Banal, K. P. Ghiggino, W. W. H. Wong*, ‘Efficient Light Harvesting of a Luminescent Solar Concentrator using Excitation Energy Transfer from an Aggregation-Induced Emitter’ Phys. Chem. Chem. Phys. 2014, 16, 25358-25363. DOI: 10.1039/C4CP03807J. 43. Z. Xiao, J. Subbiah, K. Sun, D. J. Jones, A. B. Holmes, W. W. H. Wong*, ‘Synthesis and Photovoltaic Properties of Thieno[3,2-b]thiophenyl Substituted Benzo[1,2-b:4,5-b’]dithiophene Copolymers’ Polym. Chem. 2014, 5, 6710-6717. DOI: 10.1039/c4py00827h. 42. Z. Xiao, K. Sun, J. Subbiah, S. Ji, D. J. Jones, W. W. H. Wong*, ‘Hydrogen Bonding in Bulk Heterojunction Solar Cells: A Case Study’ Sci. Rep.2014, 4, 5701. DOI: 10.1038/srep05701. 41. H. H. Dam, K. Sun, E. Hanssen, J. M. White, T. Marszalek, W. Pisula, J. Czolk, J. Ludwig, A. Colsmann, M. Pfaff, D. Gerthsen, W. W. H. Wong*, D. J. Jones, ‘Morphology Change and Improved Efficiency in Organic Photovoltaics via Hexa-peri-hexabenzocoronene Templates’ ACS Appl. Mater. Interfaces 2014, 6, 8824-8835. DOI: 10.1021/am5015666. 40. J. L. Banal, J. M. White, K. P. Ghiggino, W. W. H. Wong*, ‘Concentrating Aggregation-Induced Fluorescence in Planar Waveguides: A Proof-of-Principle’ Sci. Rep. 2014, 4, 4635. DOI: 10.1038/srep04635. 39. K. Sun, Z. Xiao, E. Hanssen, M. F. G. Klein, H. H. Dam, M. Pfaff, D. Gerthsen, W. W. H. Wong*, D. J. Jones, ‘The Role of Solvent Vapor Annealing in Highly Efficient Air-processed Small Molecule Solar Cells’ J. Mater. Chem. A 2014, 2, 9048-9054. DOI: 10.1039/C4TA01125B. 38. W. W. H. Wong*, J. Subbiah, J. M. White, H. Seyler, B. Zhang, D. J. Jones, A. B. Holmes, ‘Single Isomer of Indene-C70 Bisadduct – Isolation and Performance in Bulk Heterojunction Solar Cells’ Chem. Mater. 2014, 26, 1686-1689. DOI: 10.1021/cm404054z. 37. Z. Xiao, J. Subbiah, K. Sun, S. Ji, D. J. Jones, A. B. Holmes, W. W. H. Wong*, ‘Thiazolyl Substituted Benzodithiophene Copolymers: Synthesis, Properties and Photovoltaic Applications’ J. Mater. Chem. C 2014, 2, 1306-1313. DOI:10.1039/C3TC31622J. 36. W. W. H. Wong*, J. Subbiah, S. R. Puniredd, W. Pisula, D. J. Jones, A. B. Holmes, ‘Benzotriazole-based Donor-Acceptor Conjugated Polymers with Broadened Absorption in the Visible’ Polym. Chem. 2014, 5, 1258-1263. DOI:10.1039/C3PY01142A. 35. M. Pfaff, P. Müller, P. Bockstaller, E. Müller, J. Subbiah, W. W. H. Wong, M. F. G. Klein, W. Pisula, A. Kiersnowski, S. R. Puniredd, U. Lemmer, A. Colsmann, D. Gerthsen, D. J. Jones, ‘Bulkheterojunction nanomorphology of fluorenyl hexa-peri-hexabenzocoronene-fullerene blend films’ ACS Appl. Mater. Interfaces 2013, 5, 11554-11562. DOI: 10.1021/am4044085. 34. V. Dryza, J. L. Nguyen, T.-H. Kwon, W. W. H. Wong, A. B. Holmes, E. J. Bieske, ‘Photophysics and Aggregation Effects of a Triphenylamine-based Dye Sensitizer on Metal-Oxide Nanoparticles Suspended in an Ion Trap’ Phys. Chem. Chem. Phys. 2013, 15, 20326-20332. DOI: 10.1039/c3cp53454e. 32. G. E. McCluskey, S. E. Watkins, A. B. Holmes, C. K. Ober, J.-K. Lee, W. W. H. Wong,* ‘Semi-Perfluoroalkyl Polyfluorene with Varying Fluorine Content: Synthesis and Photophysical Properties’ Polym. Chem. 2013, 4, 5291-5296. DOI: 10.1039/C3PY00124E. 29. J. Yang, D. Vak, N. Clark, J. Subbiah, W. W. H. Wong, D. J. Jones, S. E. Watkins, G. Wilson, ‘Organic Photovoltaic Modules Fabricated by an Industrial Gravure Printing Proofer’ Sol. Energy Mater. Sol. Cells 2013, 109, 47-55. 28. H. Seyler, S. Haid, T.-H. Kwon, D. J. Jones, P. Bäuerle, A. B. Holmes, W. W. H. Wong,* ‘Continuous Flow Synthesis of Organic Electronic Materials – Case Studies in Methodology Translation and Scale-up’ Aust. J. Chem. 2013, 66, 151-156. 27. K. Sun, B. Zhao, V. Murugesan, A. Kumar, K. Zeng, J. Subbiah, W. W. H. Wong, D. J. Jones, J. Ouyang, ‘High-Performance Polymer Solar Cells with a Conjugated Zwitterion by Solution Processing or Thermal Deposition as the Electron-Collection Interlayer’ J. Mater. Chem. 2012, 22, 24155-24165. 26. W. W. H. Wong,* J. Subbiah, S. R. Puniredd, B. Purushothaman, W. Pisula, N. Kirby, K. Müllen, D. J. Jones, A. B. Holmes, ‘Liquid crystalline hexa-peri-hexabenzocoronene-diketopyrrolopyrrole organic dyes for photovoltaic applications’ J. Mater. Chem. 2012, 22, 21131-21137. 25. D. J. Jones, B. Purushothaman, S. Ji, A. B. Holmes, W. W. H. Wong,* ‘Synthesis of electron-poor hexa-peri-hexabenzocoronenes’ Chem. Commun. 2012, 48, 8066-8068. 24. Th. B. Singh, X. Chen, W. W. H. Wong, T. Ehlig, M. Chen, S. E. Watkins, S. Holdcroft, D. J. Jones, A. B. Holmes, ‘Correlation of charge extraction properties and short circuit current in various organic binary and ternary blend photovoltaic devices’ Appl. Phys. A – Mater. 2012, 108, 515-520. 23. S. Ren, C. Yan, D. Vak, D. J. Jones, A. B. Holmes, W. W. H. Wong,* ‘Solution processable mono-substituted hexa-peri-hexabenzocoronene self-assembling dyes’ Adv. Funct. Mater. 2012, 22, 2015-2026. 22. H. Seyler, B. Purushothaman, D. J. Jones, A. B. Holmes, W. W. H. Wong,* ‘Hexa-peri-hexabenzocoronene in organic electronics’ Pure Appl. Chem. 2012, 84, 1047-1067. 20. H. Seyler, W. W. H. Wong,* D. J. Jones, A. B. Holmes, ‘Continuous flow synthesis of fullerene derivatives’ J. Org. Chem. 2011, 76, 3551-3556. 19. W. W. H. Wong,* C.-Q. Ma, W. Pisula, A. Mavrinskiy, X. Feng, H. Seyler, D. J. Jones, K. Müllen, P. Bäuerle, A. B. Holmes, ‘Fluorenyl hexa-peri-hexabenzocoronene-dendritic oligothiophene hybrid materials: synthesis, photophysical properties, self-association behaviour and device performance’ Chem Eur. J. 2011, 17, 5549-5560. 18. H. H. Fong, J.-K. Lee, Y.-F. Lim, A. A. Zakhidov, W. W. H. Wong, A. B. Holmes, C. K. Ober, G. G. Malliaras, ‘Orthogonal processing and patterning enabled by highly fluorinated light-emitting polymers’ Adv. Mater. 2011, 23, 735-739. 17. W. W. H. Wong,* D. Vak, Th. B. Singh, S. Ren, C. Yan, D. J. Jones, I. I. Liaw, R. N. Lamb, A. B. Holmes, ‘Ambipolar hexa-peri-hexabenzocoronene-fullerene hybrid material’ Org. Lett. 2010, 12, 5000-5003. 16. W. W. H. Wong,* T. Khoury, D. Vak, C. Yan, D. J. Jones, M. J. Crossley, A. B. Holmes, ‘A porphyrin-hexa-peri-hexabenzocoronene-porphyrin triad: synthesis, photophysical properties and performance in a photovoltaic device’ J. Mater. Chem. 2010, 20, 7005-7014. 15. J. Mozer, C.-Q. Ma, W. W. H. Wong, D. J. Jones, P. Bäuerle, G. G. Wallace, ‘The effect of molecule size and shape on free charge generation, transport and recombination in all-thiophene dendrimer:fullerene bulk heterojunctions’ Org. Electron. 2010, 11, 573-582. 14. W. W. H. Wong,* Th. B. Singh, D. Vak, W. Pisula, C. Yan, X. Feng, E. L. Williams, K. L. Chan, Q. Mao, D. J. Jones, C.-Q. Ma, K. Müllen, P. Bäuerle, A. B. Holmes, ‘Solution processable fluorenyl hexa-peri-hexabenzocoronenes in organic field-effect transistors and solar cells’ Adv. Funct. Mater. 2010, 20, 927-938. 13. W. W. H. Wong,* C.-Q. Ma, W. Pisula, C. Yan, X. Feng, D. J. Jones, K. Müllen, R. A. J. Janssen, P. Bäuerle, A. B. Holmes, ‘Self-assembling thiophene dendrimers with a hexa-peri-hexabenzocoronene core -synthesis, characterization and performance in bulk heterojunction solar cells’Chem. Mater. 2010, 22, 457-466. 12. J.-K. Lee, M. Chatzichristidi, A. A. Zakhidov, H. S. Hwang, E. L. Schwartz, J. Sha, P. G. Taylor, H. H. Fong, J. A. DeFranco, E. Murotani, W. W. H. Wong, G. G. Malliaras, C. K. Ober, ‘Acid-diffusion behaviour in organic thin films and its effect on patterning’ J. Mater. Chem. 2009, 19, 2986-2992. 11. W. W. H. Wong,* J. E. Hooper, A. B. Holmes, ‘Silicon analogues of polyfluorene as materials for organic electronics’ Aust. J. Chem. 2009,62, 393-401. 10. W. W. H. Wong,* D. J. Jones, C. Yan, S. E. Watkins, S. King, S. A. Haque, X. Wen, K. P. Ghiggino, A. B. Holmes, ‘Synthesis, photophysical, and device properties of novel dendrimers based on a fluorene-hexabenzocoronene (FHBC) core’ Org. Lett. 2009, 11, 975-978. 9. W. W. H. Wong,* A. B. Holmes, ‘Poly(dibenzosiloles)’ Adv. Polym. Sci. 2008, 212, 85-98. 8. W. W. H. Wong, F. Diederich, ‘Regio- and diastereoselective synthesis of bis- and tetrakisadducts of C-70 by directed remote functionalization using troger base tethers’ Chem. Eur. J. 2006, 12, 3463-3471. 7. W. W. H. Wong, R. L. Paul, M. S. Vickers, P. D. Beer, ‘Tetrakis(imidazolium) macrocyclic receptors for anion binding’ Org. Biomol. Chem.2005, 3, 4201-4208. 6. W. W. H. Wong, J. Cookson, E. A. L. Evans, E. J. L. McInnes, J. Wolowska, J. P. Mahr, P. Bishop, P. D. Beer, ‘Heteropolymetallic copper(II)-gold(III) dithiocarbamate catenanes via magic ring synthesis’ Chem. Commun. 2005, 2214-2216. 5. W. W. H. Wong, D. Curiel, S.-W. Lai, M. G. B. Drew, P. D. Beer, ‘Ditopic redox-active polyferrocenyl zinc(II) dithiocarbamate macrocyclic receptors: synthesis, coordination and electrochemical recognition properties’ Dalton Trans. 2005, 4, 774-781. 4. W. W. H. Wong, D. Curiel, A. R. Cowley, P. D. Beer, ‘Dinuclear zinc(II) dithiocarbamate macrocycles: ditopic receptors for a variety of guest molecules’ Dalton Trans. 2005, 2, 359-364. 3. W. W. H. Wong, D. E. Phipps, P. D. Beer, ‘Acyclic and macrocyclic transition metal dithiocarbamate complexes containing imidazolium moieties for anion binding’ Polyhedron 2004, 23(17), 2821-2829. 2. P. D. Beer, N. G. Berry, A. R. Cowley, E. J. Hayes, E. C. Oates, W. W. H. Wong, ‘Metal-directed self-assembly of bimetallic dithiocarbamate transition metal cryptands and their binding capabilities’ Chem. Commun. 2003, 2408-2409. 1. P. D. Beer, A. R. Cowley, J. C. Jeffery, R. L. Paul, W. W. H. Wong, ‘Self-assembled xanthate-transition metal polyether macrocycles and cryptands’ Polyhedron 2003, 22(5), 795-801.